VAUGHAN, Ont. 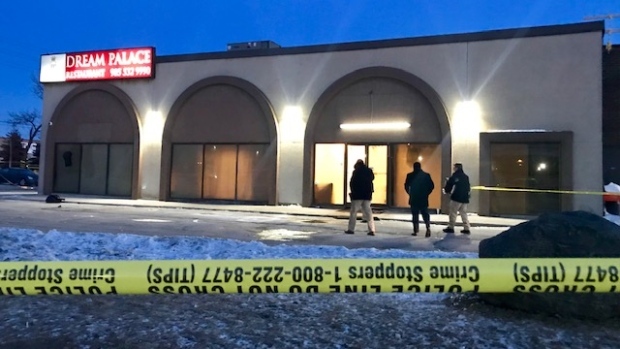 — Police say two men have died following a shooting at a banquet hall north of Toronto. York regional police say officers responded to a shots fired report just after 4:15 a.m. at Dream Palace Restaurant and Banquets in Vaughan, Ont. The officers found two men with gunshot wounds. Police say one died at the scene and a 23-year-old man died shortly after being taken to hospital. Homicide detectives have taken over the investigation and are trying to determine what led to the shooting. No information about possible suspects was immediately released.